Finally! 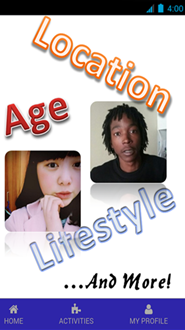 An BMAW (Black Men and Asian Woman) dating site for you! Blasian Luv Forever™ makes meeting new people so much easier. Finding someone to date, perhaps fall in love with and spend the rest of your lives together has never been more fun. What better reason can there be to sign up now and create your FREE profile? Take the first step towards making your dreams come true! We unite the two most HOTTEST ethnicites on the planet. Meet Asian men who love Black women, and Black women who love Asian men! Our effective matching algorithm will assist you in finding the perfect match for you. & Provide You with the Tools You Need for Searching Worldwide!